Former New England Patriots All-Pro Rob Gronkowski might have retired this offseason, but that does not mean he will be completely vanishing from our televisions. In fact, Gronk has no shortage of opportunities to stay relevant long after his playing career is over. It is very likely Gronkowski becomes the next football legend to extend his career as a top endorser even when they no longer hit the field on Sundays. Names like Joe Namath, Mike Ditka, and Peyton Manning come to mind when considering his post-football marketability. Gronkowski's next big opportunity could also come from Hollywood. According to Sports Illustrated, he has been taking acting classes since 2014 and he's already gotten some bit roles in a few films. Becoming an action star certainly seems like it could fit Gronk, but that same skillset could also lend him success in the pro wrestling world. He is a huge wrestling fan, has made multiple appearances for the WWE and the organization has already been putting out hints regarding his possible involvement. Gronkowski's fun-loving persona could be a perfect fit for the ring, but it also makes him an intriguing, if not an unconventional choice for a broadcasting role. He is never going to be a buttoned-up analyst in the booth, but as Tony Romo's off-the-cuff style have proven, something viewers are not used to might not actually be a bad thing. 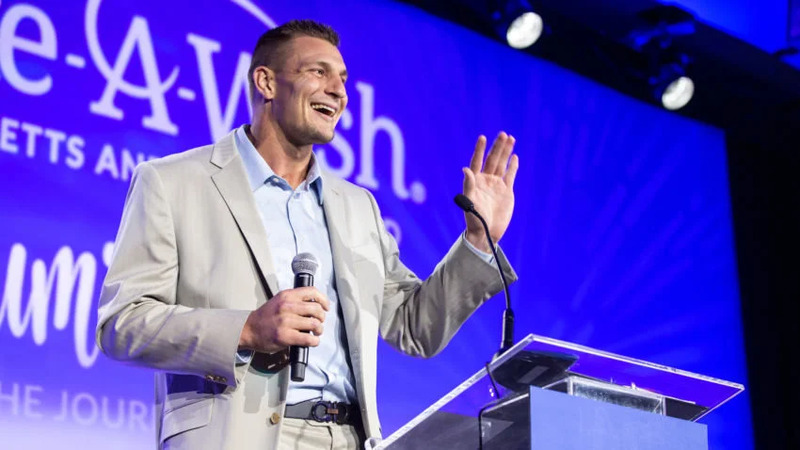 In addition to these high-profile placements, Gronkowski should increasingly be a favorite for speaking engagements and corporate appearances due to his likeability and position with one of the NFL's greatest dynasties. Over the weekend, he made his first appearance in Boston since retiring and spoke while receiving an award from the Make-A-Wish Foundation. There is always the chance that Gronkowski returns to the Patriots, as his agent Drew Rosenhaus teased. However, for now, he stands as the latest former athlete particularly primed for a big post-sports career as a personality. 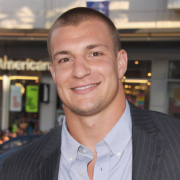 To inquire about Rob Gronkowski's speaking fees and appearance costs, contact the agents at Athlete Speakers by calling us at 800-916-6008 or by Starting Your Booking Request Now.